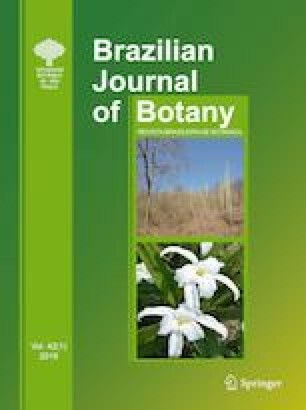 This study aimed to better understand the biodiversity and ecological aspects of benthic filamentous cyanobacteria along the coast of an extensive Brazilian tropical region with underestimated biodiversity. We collected samples between 2010 and 2012 in 24 areas along the coast of the State of Bahia, Northeastern Brazil. We analyzed biodiversity, life form, and spatial distribution of filamentous cyanobacteria on various marine substrata. The intertidal area was divided into three microhabitats according to hydrodynamics: tidal pools, protected reef region, and front reef region. Thirty-two taxa were identified and Oscillatoriales showed the highest biodiversity (16 taxa), followed by Nostocales (9), Synechoccocales (5) and Spirulinales (2). We reported 22 new references to Bahia State. Twenty-two taxa occurred only in one beach, and Symploca cf. hydnoides Gomont was the only widely distributed along the coast of Bahia. Epilithic (21 taxa) and epiphytic (15) showed the greatest species richness. Only two species presented epizoic life form. We observed the highest species richness in the protected reef region (17 taxa). We found eleven and eight taxa in the tidal pool and supralittoral zone, respectively. No cyanobacteria were found in the front reef region, an area with high hydrodynamics. This research presented many taxa in common with previous studies on cyanobacterial diversity developed in other tropical regions around the globe. The great biodiversity and new records reported in this study highlight the need of further surveys in tropical coastal environments, areas still underexplored in terms of biodiversity of cyanobacteria. The online version of this article ( https://doi.org/10.1007/s40415-019-00517-2) contains supplementary material, which is available to authorized users. To CNPq (National Council for Scientific and Technological Development) for the scholarship granted to the first author and to Fundação de Amparo à Pesquisa do Estado da Bahia (FAPESB-PRONEM, PNE 0020/2011, and Projeto de Pesquisa em Redes-RED 006/2012). TAC, CLS and JMCN have identified the material sampled and wrote the manuscript. All authors have approved the final version of the article, and there is no conflict of interest among them.